Flip 3 coins. if one is heads, draw a card. if 2 are heads, this attack does 20 more damage. 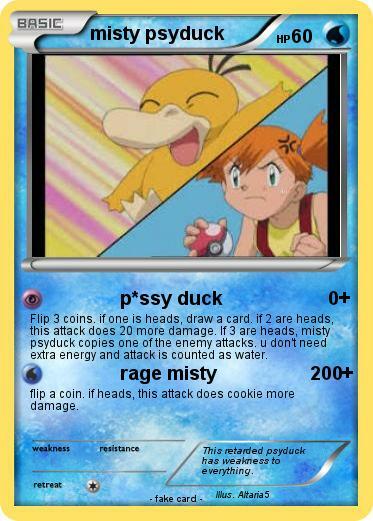 If 3 are heads, misty psyduck copies one of the enemy attacks. u don't need extra energy and attack is counted as water. flip a coin. if heads, this attack does cookie more damage. Comments : This retarded psyduck has weakness to everything.